Considerable planning, effort and care have gone into writing Go in Practice, a new Golang programming book from Manning and also available from Amazon. The book’s structure and approach are both geared toward helping Go newbies move beyond the basics. The writing is clear, and the code examples are focused and not overly long. These and the other practical techniques are presented in Problem, Solution and Discussion format. And code examples illustrate (and allow you to try out) what is supposed to happen. If you are still learning the Golang basics, make this one your next book. Stick with Go in Action or some other starter book, for now. But if you know the basics and are now eager to get more serious about learning and applying this versatile programming language, definitely check out Go in Practice. If you already are using Go as a development language, it can’t hurt you to take a look at this how-to guide, as well. You may pick up some new and useful techniques. Meteor is versatile and easy to use, particularly for simple applications. But, like any other JS framework, it does have a learning curve. And there are some inherent weaknesses, as well as strengths, that must be considered when deciding if Meteor is the right choice for a particular project. Meteor in Action can give you a good grounding in Meteor’s basics, plus solid momentum along the path toward Meteor mastery. The book begins with a polished and not-too-lengthy overview of Meteor’s Open Source framework. Then it shows how to build a small, reactive game application. From there, the major topics include: templates; data; fully reactive editing; users, authentications, and permissions; exchanging data; routing; the package system; advanced server methods; building and debugging; and going into production. Another reviewer has stated that parts of this book may be outdated soon, because some of the technology associated with Meteor is changing fast. But not every work site immediately will keep up with the latest and “greatest” changes to Meteor software, of course. And, you may encounter applications needing support that are still running earlier releases of Meteor. This is a worthy and valuable book for anyone just starting to learn Meteor. And it likewise can be helpful to Meteor users who want better understanding of the framework, how it is put together, and how it can be used effectively in large applications. The two authors of this book have been working with Meteor since the framework’s “infancy” in 2011. In the rapidly changing world of software development, metrics “represent the data you can get from your application lifecycle as it applies to the performance of software development teams,” Christopher W. H. Davis writes in his well-written, well-structured new book, Agile Metrics in Action. The goals of agile metrics include collecting and analyzing data from almost every useful and accessible point in the software development life cycle, so team and individual performances can be measured and improved, and processes can be streamlined. A key aspect of the data collection and analysis process is distributing the resulting information “across the organization in such a way that everyone can get the data they care about at a glance,” Davis says. He explains how and highlights some “traps” that teams can “fall into when they start publishing metrics,” such as “[s]ending all the data to all stakeholders,” many of whom won’t know what to do with most of it. Metrics remain a controversial topic for many software developers, Davis emphasizes. So any business leader planning to rush his or her company into adopting agile metrics will need to proceed cautiously, instead. It is vital to get buy-in first from developers and their managers, he says. Of course, continuous development produces continuous data to measure and manage, as well, using agile metrics techniques. Many different topics are addressed effectively in this book. And the practices the author presents are organized to work with any development process or tool stack. However, the software tools Davis favors for this book’s code-based examples include Grails, Groovy and MongoDB. Agile Metrics in Action is structured and written to serve as a how-to book for virtually anyone associated with a software development team that relies on agile metrics. You may not understand all of the text. But if you take your time with this well-illustrated book, you can at least gain a better comprehension of what agile metrics means, how the process works, and why it is important to your employer, your group and your paycheck. Unity, the cross-platform game development environment, is easy to download and get running. But it definitely is not easy to learn without some help. Even with this fine book, however, game development can be hard and complicated work. There are many different elements to consider, such as “Adding enemies and projectiles to the 3D game”, “Developing graphics for your game”, “Adding interactive devices and items within the game,” and putting sound effects and music into your game. Hocking’s book does a good job of showing how to handle these tasks, plus many more. You may have heard Unity described as a game development environment where you don’t have to know how to program. Yes, you might be able to create some games without programming skills. But, “to produce commercial titles” using Unity, you definitely need some programming experience, Hocking emphasizes. In this case, you should have some knowledge of C#, but a background in some other object-oriented (OO) programming language will be helpful if you are new to C#, he adds. Hocking’s book has many examples, illustrations, headings and subheadings. But step-by-step listings are sparse. Therefore, be prepared to read the text closely and, if necessary, develop lists of steps yourself. There is nothing wrong with this approach, and it is not really a criticism of the book. Game development, after all, is not something that you can, nor should, just dive into and speed through, step by step. It requires a lot of careful planning and thought before you start. 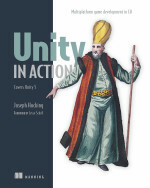 Unity in Action wastes no time. It gets right to the essential stuff you need to know. And it can get you into action reasonably fast as a game developer. But “reasonably fast” in this case must be defined by how quickly you personally can learn to handle Unity, plus the myriad tasks of planning, creating, testing, revising and distributing a game. What Elixir really is, of course, is a breath of fresh air for software developers who find it hard or confusing to work with Erlang’s sometimes complicated syntax and conventions. Erlang has long been almost off the chart–the bottom of the chart–when computer languages are stacked up by popularity. It began its oddball life in the 1980s as a programming language for the computers in telephone switching systems, specifically Swedish-made, Ericsson telephone switching systems. Indeed, I first encountered Erlang in the late 1980s while trying to help Ericsson sell Swedish-made computers to American banks. Back then, I counted my lucky stars that I didn’t have to learn it, because I was a tech writer, not a software developer. Today, however, Erlang and its Open Telecom Platform (OTP) libraries are gaining new converts among serious practitioners of functional programming. Many of them likewise are drawn to Erlang’s built-in support for concurrency, distribution and fault tolerance. The digital Swedish meatball known as Erlang turns out to be a powerful choice for providing high reliability and scalability to networked and distributed systems with multi-core processors. Telephone networks require high reliability and flexible scalability. And Erlang was designed to help provide both — without limiting itself to telecom systems. Some of Erlang’s lack of popularity can be blamed on the language’s somewhat difficult learning curve. But it also has not been heavily promoted to software developers. That has been changing recently as companies and developers learn more about Erlang’s good track record, Saša Jurić points out. 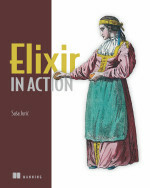 In Elixir in Action, Saša Jurić nicely meets his goal of writing a book that brings “programmers new to Elixir and Erlang to the point where they can develop complex systems on their own.” Elixir provides an alternative language based on several other languages, including Ruby and Clojure, as well as Erlang. Part 1, “The Language,” offers a high-level overview of Erlang and Elixir. Then it delves into Elixir’s basic building blocks and details common functional programming idioms. Elixir in Action does not cover everything. But it provides fine overviews, clear how-to instructions, and compact code examples that illustrate important points. It can get you going in good directions.